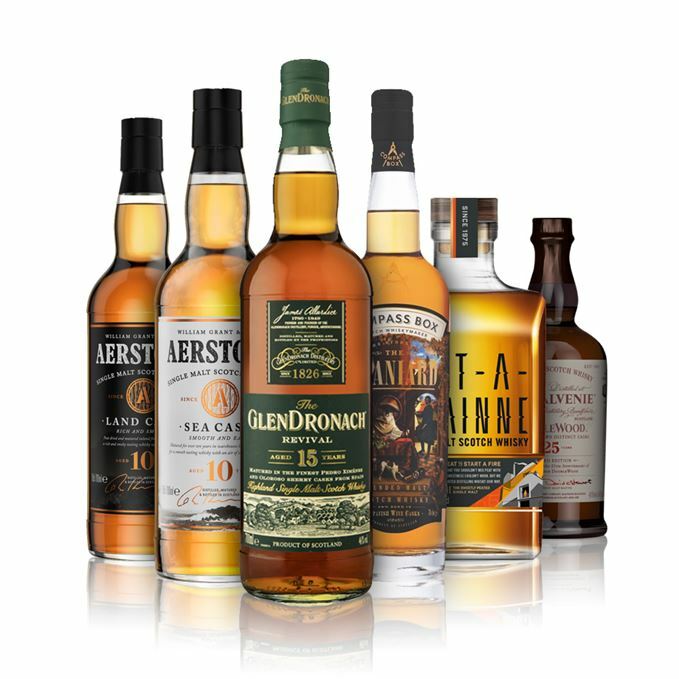 This week Becky Paskin considers three ‘entry level’ single malts with varying flavour profiles, alongside two Sherried drams and a high-end anniversary malt from Balvenie. 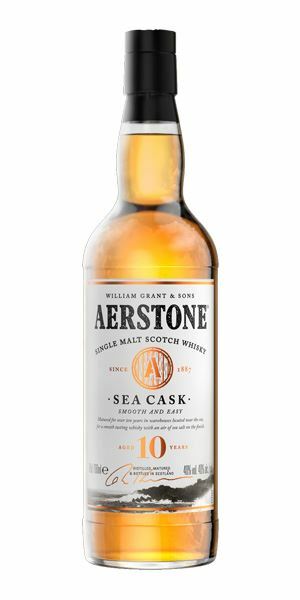 She kicks off with the two ‘demystifying’ Aerstone malts, the new William Grant & Sons-owned brand aimed at newcomers to Scotch. Despite reservations over the naming of the expressions, she finds the smoky Land Cask to be ‘surprisingly big’ and offering good value for money. Sea Cask meanwhile is a sweeter, more accessible expression – remarkable considering both are produced at Ailsa Bay distillery. The third beginner’s dram is a no-age-statement from Allt-a-Bhainne, which despite promises of being lightly peated, fails to light a fire for Paskin. An anniversary malt from Balvenie, a 25-year-old created by malt master David Stewart to mark 25 years of the Speyside distillery’s DoubleWood expression, is an ‘accomplished’ whisky, and a testament to Stewart’s mastery of double maturation. 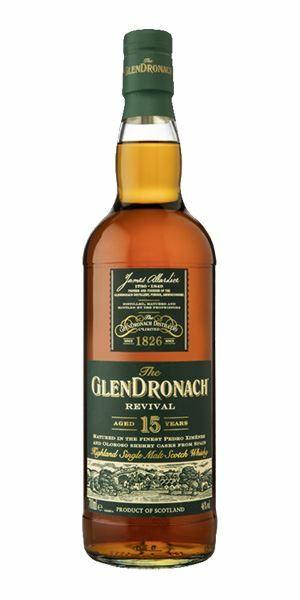 The return next of a GlenDronach favourite – the revival of Revival, the distillery’s 15-year-old Sherried malt, which despite having a new recipe, remains a hit with Paskin. 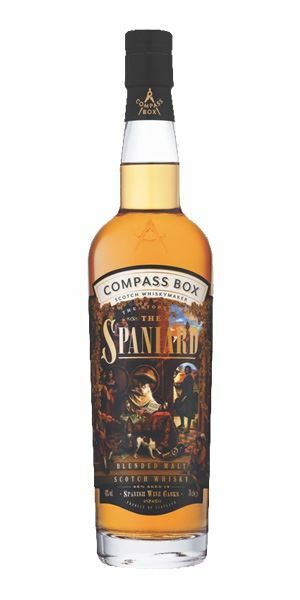 Finally, The Story of the Spaniard, the latest blended malt from Compass Box and its first permanent release for five years, is a warming, complex whisky with notes of chocolate and orange rind. Each whisky this week is accompanied by a special Spotify playlist courtesy of the Bay City Rollers, Phil Collins and Meatloaf. Click the links in Right Time, Right Place. Salty smoke up front, with a rich, meaty pork belly note – Roast Beef and Mustard Brannigans crisps. Blackberry coulis and cassis lies beneath, though it’s faint against all that brash meaty smoke. Lighter than the nose suggests at first, the fruit dominates, all baked apples and tinned fruit salad, before the smoke and spice rise in the mid-palate, turning the experience from delicate to bold. There’s a good thick texture, which compliments the boldness. Surprisingly big, with a fair amount of depth considering the price point. Honeyed sweetness with a grassy, citrus edge, reminiscent of lemon meringue pie, lemon sherbet candies, or a boozy Hot Toddy. Supporting the lighter, citrusy elements are a tray of baked goods: fluffy American pancakes and ciabatta infused with rosemary and honey. It’s certainly light and intriguing. A soft and sweet experience at first, which is peppered with a lemon rind bitterness and black pepper. Vanilla-rich with an accomplished balance of sweetness and delicacy, it’s light and very easy going. I wouldn’t say salty is a defining characteristic – as the name Sea Cask suggests – but it’s there if you look for it. Bittersweet, as the wood spice and tannins dial up. 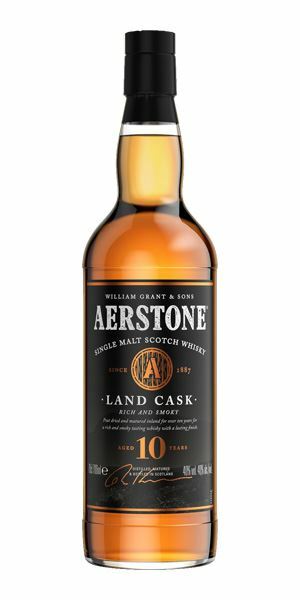 A very approachable dram – vastly different from its ‘Land Cask’ cousin, although both were produced at Ailsa Bay distillery. The sweetness provides a perfect introduction to Scotch for newcomers, though alternatively, aficionados may like to whack it in a Hot Toddy this winter. Still confused by the name though… disclaimer: the whisky was not matured under the sea. The easy-going sister with a Sweet Disposition. Indulgently fruity and sweet – cinnamon-spiked apple pie, stewed rhubarb and anise – with an elegantly floral fragrance of green banana leaf and rose. The smoke is hard to pin down, though. ...but then it finishes with a whisper. 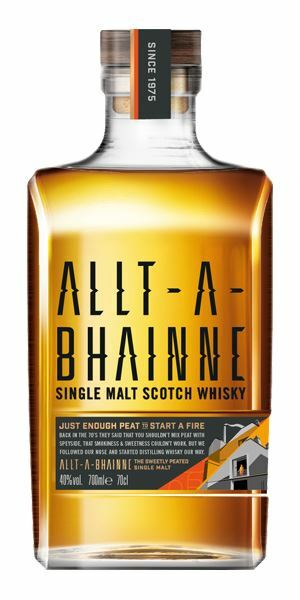 Allt-a-Bhainne claims it uses ‘just enough peat to start a fire’, but they’ll find it a cold winter with this dram. Although perfectly balanced, the smoke plays a supporting role to the sweetness. In the words of that quintessential 1970s band, the Bay City Rollers, ‘If you hate me after all I say… Bye Bye Baby’. Rewardingly uplifting. It’s honeyed, and dripping with ripe orchard fruits: greengages, mirabelles, apricots, nectarines and juicy peaches. There’s this sweet, rich depth and a soft maltiness that’s underpinned by a subtle oak influence – a sign of gentle maturation over a quarter of a century. Mouthwateringly fruity and vibrant, with notes of dried sultanas and citrus peel complemented by light oak spices that dance across the tongue. There are hints of Sherry cask involvement, though it’s not too overbearing – everything is balanced here. The fruit moves into vanilla and soft fudge from the American oak, before becoming slightly spicier. Softly, slowly, dies away, leaving a memory of oak spice behind. It’s accomplished. Superb. David Stewart has mastered the art of double maturation. 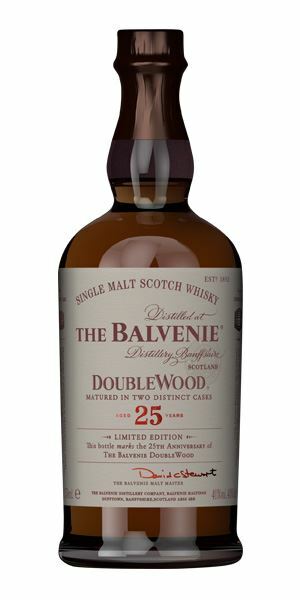 A fitting tribute to 25 years of Balvenie DoubleWood. DoubleWood was released at the same time Meatloaf wouldn’t actually Do Anything for Love. Fruity, musty and ever-so-slightly savoury oloroso Sherry. Dusty casks sat quietly, resting on an earthen dunnage warehouse floor. The fruit is still vibrant though, almost sherbety, as fresh figs, cooked plums and dates, dusted with muscovado sugar. It’s an absolute delight. Unctuous, chewy and sweet. Plenty of oloroso Sherry flavour, prune juice and GlenDronach’s signature fruity weightiness. Spicy, earthier notes of cassia bark, liquorice and cinnamon build in the mid-palate, drawing the cheeks in and adding some much-needed weight to balance the sweetness, which becomes more syrupy over time. There’s a reason GlenDronach revived its Revival – although a different recipe, it’s still one of the best go-to Speysiders around. This one’s for Rachel Barrie and her ‘Saxophone Stills’, hitting the mark Time After Time. It’s a little closed but for an earthy grape must aroma, reflective of the wine casks used for maturation. It needs time, but opens gradually into brambles, redcurrants and blueberries, and a touch of orange rind, hinting at some sweetness within but guarding it closely with that savoury mustiness. Aha, there’s the sweetness, but it never runs away with the palate. Things remain balanced with soft cooked fruits, earthy spices, a hint of nuttiness and bitter orange pith. Creamy milk chocolate emerges, given time, peppered with crystallised ginger. Slightly bitter, more of the orange. The use of red wine casks and virgin French oak add a warming complexity to this Spanish-inspired blended malt from Compass Box. Nibbling on a Fruit ‘n’ Nut bar, a gorilla busts out a drum solo with Phil Collins on lead vocals. Batch 170 12/10/2018 Starting with Ardbeg Twenty Something, Dave Broom gets immersed in Scotland’s island whiskies. Batch 168 01/10/2018 Age and time is the theme this week, with Ghost and Rare, Linkwood and a quartet of old Longmorns.